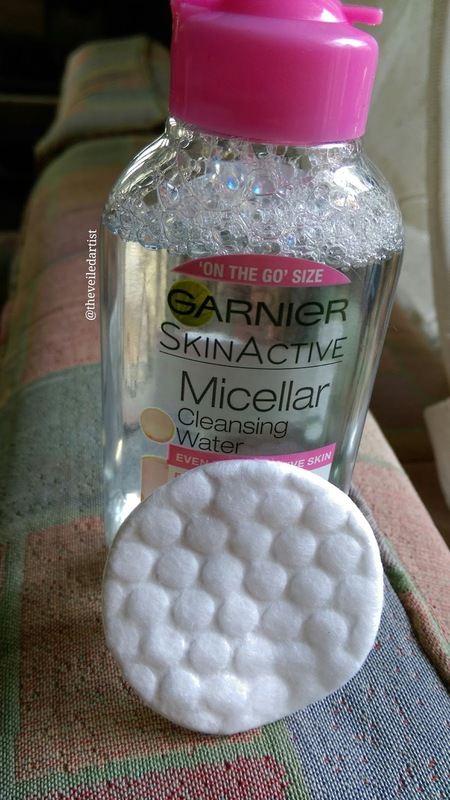 Today I will be reviewing the Garnier SkinActive Micellar Cleansing Water. 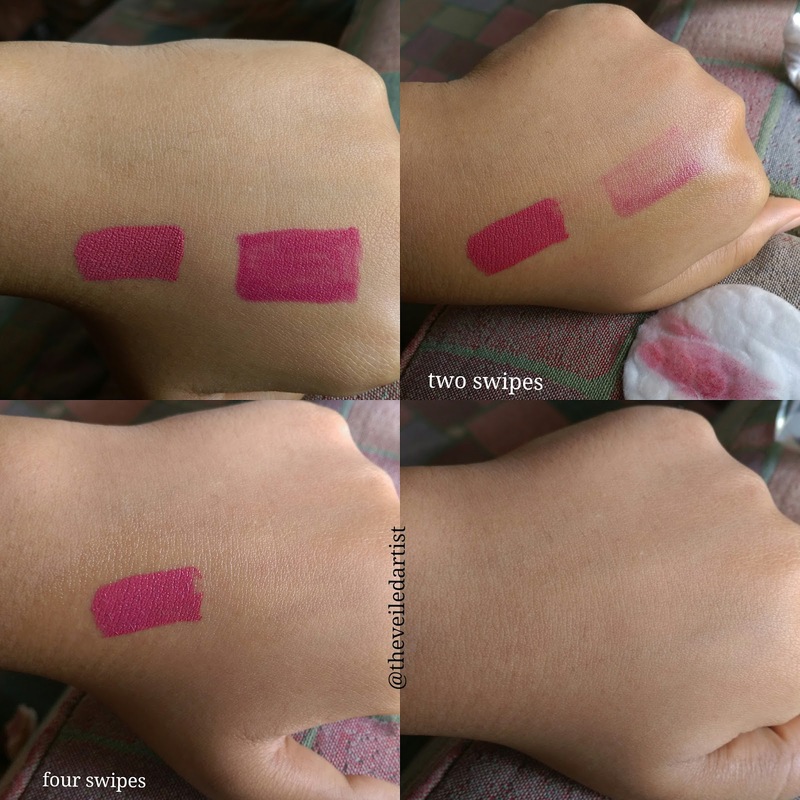 The one I got is suitable for all skin types(pink cap). I believe they have a version that removes waterproof makeup(blue cap) and another one for oily skin(green cap). This All-in-1 cleanser is surprisingly powerful yet gentle to skin. It is specially formulated to effectively cleanse, remove makeup, and refresh skin. Like a magnet, micelles capture and lift away dirt, oil and makeup without harsh rubbing, leaving skin perfectly clean, and refreshed without over-drying. 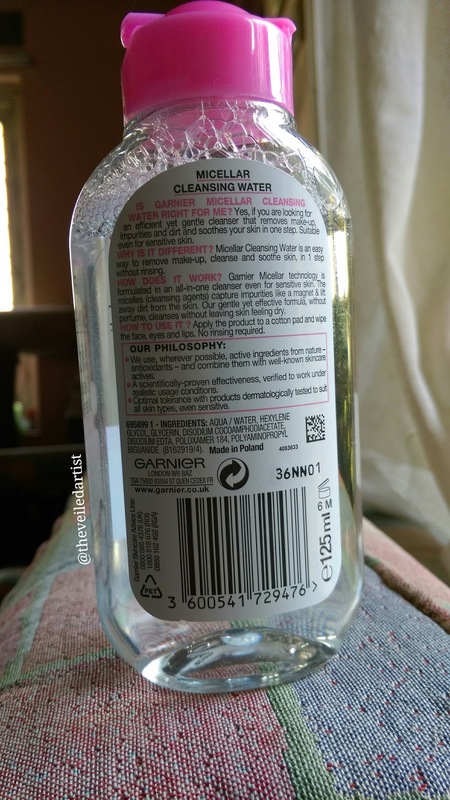 The micellar water comes in a clear plastic bottle with a pink cap. The cap shuts quite securely and is great for travel but my paranoid self would still recommend you store this separately to prevent any spillage in your bag. I've seen hundreds of youtubers rave about this product but I just thought that it was too good to be true. 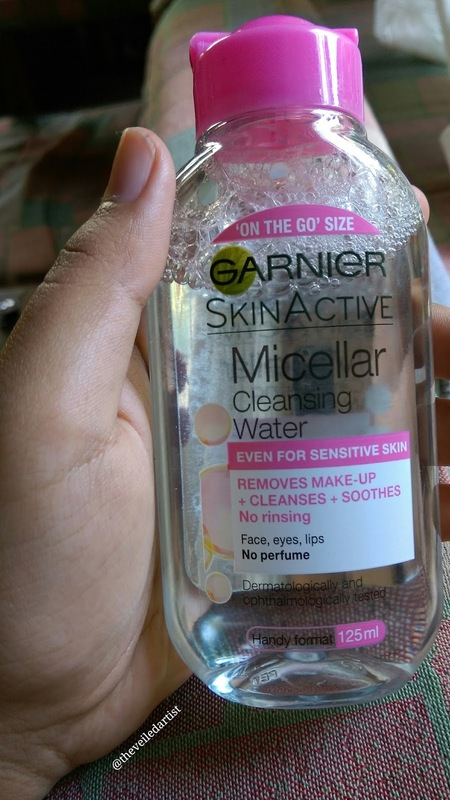 A product that removes your makeup AND cleanses skin at the same time? So I got the travel 125ml size. It cost me 4.5pounds. But I think the full size(400ml) costs around 6-7pounds. I use this to remove makeup with a cotton pad like the one you see below and I really love it you guys! I feel like it's really inexpensive as well. Prior to this, I used some makeup wipes from a brand called Cool n Cool. I had seen it locally in a lot of shops for the longest time and when I finally tried it, I fell in love! Because the wipes were large and soaked in remover. But recently, it went out of stock EVERYWHERE! I was devastated haha. Removed all my stubborn eye makeup so easiy, and that's when I decided to give this a shot. 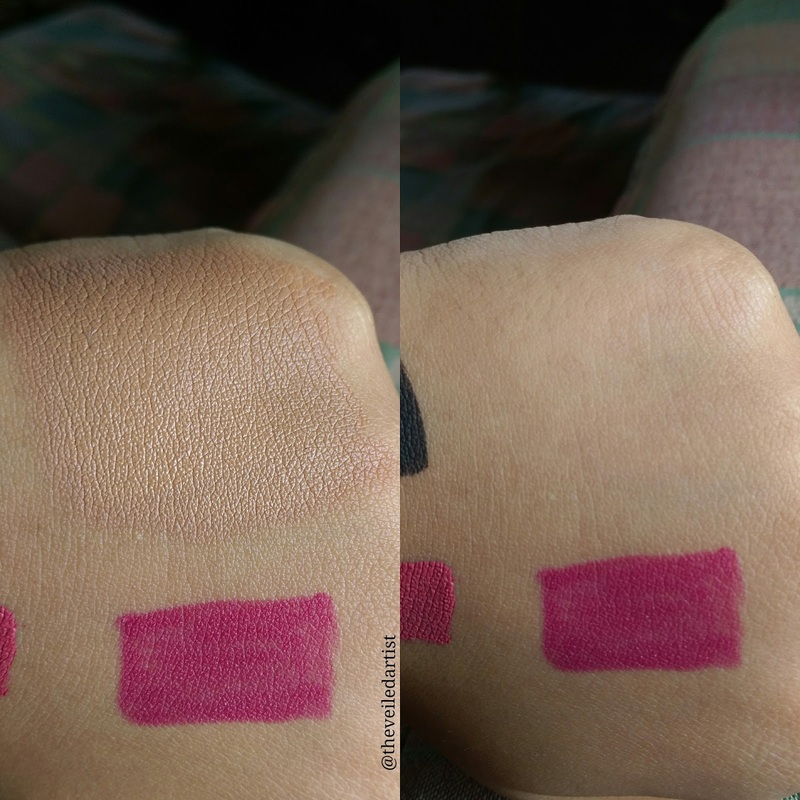 Scroll down to see how it worked when I tried removing different makeup items! 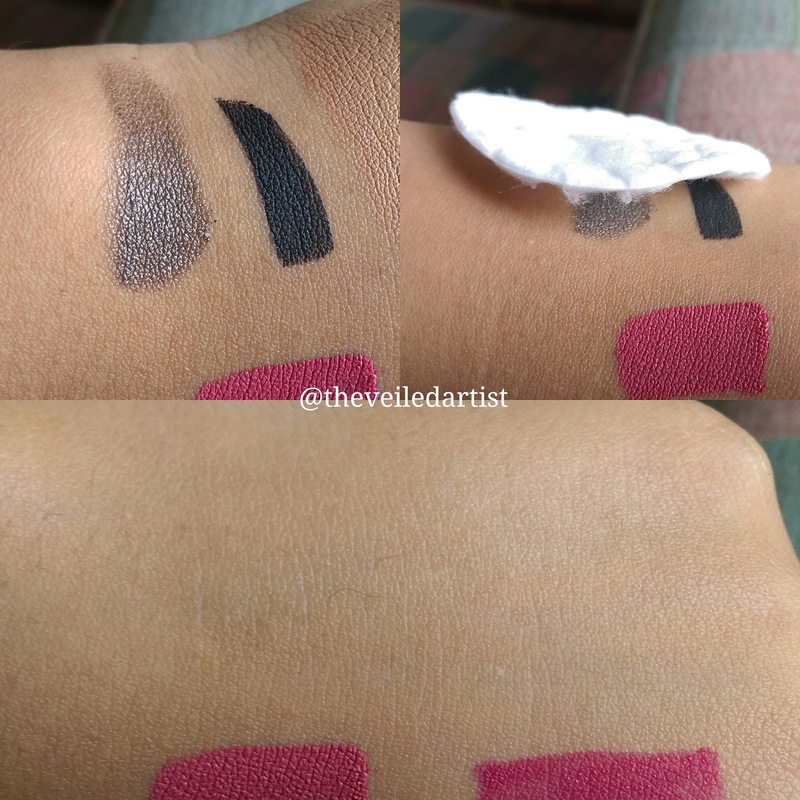 Liquid lipstick was the only thing that was super hard to remove! I had to rub quite a bit to remove it completely. I also love that just like Garnier claims, there is no greasy film left. I personally still go in with my regular cleanser just for my own peace of mind, but I don't think you need to. Because this really does remove everything. A 100%! Please try it out! Whether you wear a little makeup or a lot this is a great makeup remover. You can find it your local drugstores and if you live in SriLanka, you can get it from ebay.